919-441-3773 to set up a free in-home consultation or fill out our contact form. Because we know your home is important, we pride ourselves on making sure that the roofing, siding, window or gutter work we do for you fits your needs, your style, and your budget. 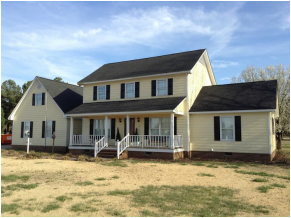 We're on a mission to provide the highest standards for all customers in Fuquay Varina, Holly Springs, Apex, Dunn, Lillington, Raleigh and surrounding areas. We know we are only as good as the last home project, so we welcome your comments, questions and testimonies. Give us a call today for a free consultation and let's get that project started!